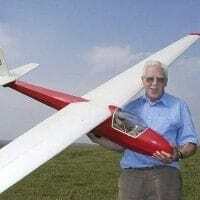 This plan is a 1/4 scale replica of the famous pre-WW2 vintage gull wing German sailplane. This is one for the enthusiast who loves building. The glider, like all of Cliff’s designs, has impeccable flying characteristics both on aero to and on the slopes. 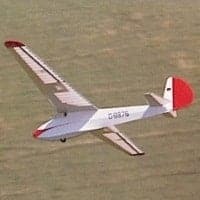 This sailplane is a head turner and worth looking at to add to your collection. Despite the problems encountered at the Rhön competition with the Reiher prototype in 1937, Reitsch managed to fly into sixth place. In the process she set on 4 July 1937 a Germans women’s distance record of 349 km (161 mi) which stood until 1968. In 1938 the prototype, stiffened and heavier, was flown into first place by Wolfgang Späte in the same event and in 1939 the Reiher III won there in the hands of Erwin Kraft. Six Reiher competed in 1939, the 20th Rhön competition and the last before World War II. No Reiher survived the war. In the 1990s the Wasserkuppe Old Timers Group built a careful replica which is now the museum there. 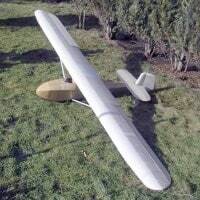 A second reproduction Reiher III first flew in 2009. Prototype D-11-95. 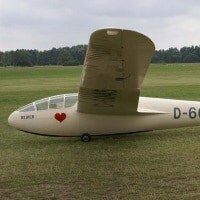 Later, stiffened and heavier, it won the 1938 Rhön German national competition, flown by Wolfgang Späte. Wing, fuselage and vertical tail revisions. Small series production. Further improvements including stiffening, lightening and ballast provision. 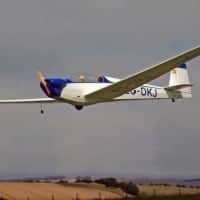 1939 Rhön German national competition winner, flown by Erwin Kraft.